Every client and vendor is important. Furnish your lobby with our relaxing lobby furniture. Our lobby furniture gives your lobby a professional look. We supply new and pre-owned lobby furniture. What style or color matches your business? We’ll help you select lobby furniture that projects your company image. Lobby furniture selections include love seats, lobby tables and reception desks. We can supply all the lobby furniture you need for one or more locations. We have new and pre-owned lobby furniture for office furniture upgrades. Make a statement with new lobby furniture. Northwest Modular Systems Furniture is the choice for Seattle lobby furniture. We have new lobby furniture with additional work surfaces and easy access to drawers. New lobby furniture is available in different color options. Our new lobby furniture will save you up to 80%. 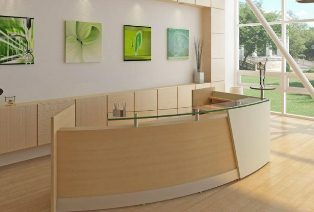 Need a reception desk? Try the Governor’s Reception Desk. It has a central locking system and a Top Guard® finish. It prevents nicks, scratches and stains. Visit us for your new lobby furniture. Who said lobby furniture has to be expensive? Save a bundle with pre-owned lobby furniture. 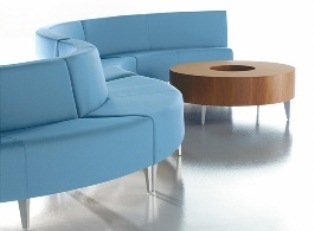 Pre-owned lobby furniture allows you to furnish your lobby without breaking the bank. We have plenty of pre-owned lobby furniture items. Some pre-owned lobby furniture items include our cherry red reception desks and lobby side chairs. 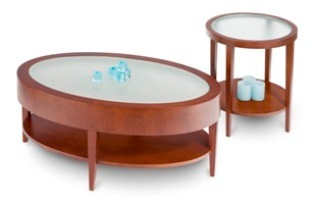 Complete your lobby area with lobby end tables. 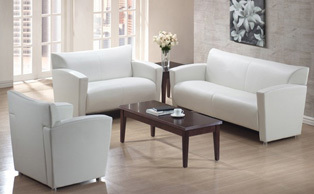 Lounge seating lets your guests relax before their big meeting with you. Contact Northwest Modular Systems Furniture for pre-owned lobby furniture.